combo can offers the same nifty functionality. Sony executive John Koller explained, "We tell our PlayStation fans all the time that what the Wii U is offering is something that Vita and PS3 can do quite easily. "It's dependent on the content. We need to make sure the content isn't force fed. And, to us, making sure that the gamer receives the right type of experience is what's most important. "We're going to pick our spots but that technology does certainly exist here." The company isn't worried that the dual-product approach is a pricey one, as it says that "almost all" Vita owners already own a PS3, although a PS3/Vita bundle isn't off the table either. 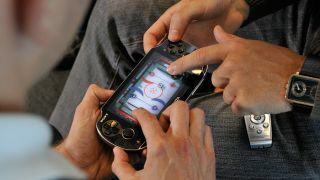 "You look at the Vita consumer and a very high percentage - almost all of them - own a PS3," Koller said. "So you see that crossover works."